Dear friend, we all benefit. 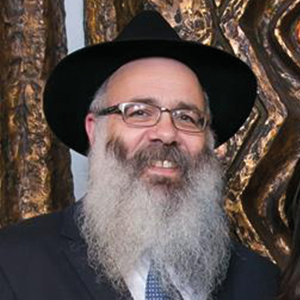 The above ideals comprise the very essence of Chabad and its annual dinner. Over the years, Chabad has grown in leaps and bounds because people increasingly recognize and appreciate its warmth and non-judgmental philosophy. Children are being educated in lively Jewish environments at our early childhood center, Hebrew schools, Cheder, summer day camps and youth programs. Adults are attending Chabad’s classes, lectures, luncheons and personalized study sessions. Families are discovering a new Jewish dimension to their lives through our synagogue and outreach programs. Seniors are enjoying weekly programs and home visits. However, if our community is to continue to reap these benefits, we need your help. On Sunday, 19 Adar I, February 24, Chabad will be hosting its annual Dinner celebration, at the Sephardic Temple Grand Ballroom, marking 23 years of commitment to our community. While we look with pride at the many accomplishments we have experienced in the past, we focus on the future with a vision of growth. This event is our primary source of funds for the year. It is also a joyous and heartwarming occasion. We call upon you to participate generously in this vital campaign by joining us and contributing generously - click here. All contributions will be recognized appropriately in the Scroll of Honor. Chabad is a partnership organization. We offer you a share in our “Mitzvos” and “nachas,” for it is only through your support that our outreach and educational activities can continue and flourish. Our esteemed honorees Rubin & Mandy Brecher, Mendel & Aliza Fundo, Gregory & Ivy Levi, Vitaly & Natalia Mikinberg and I look forward to receiving your kind response and greeting you personally at our celebration. Thank you in advance for your generosity and may G‑d, in turn, bless you with good health, happiness and prosperity. 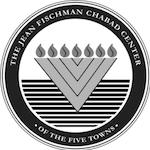 In September of 1995, Rabbi S. Zalman Wolowik and his wife Chanie arrived in the Five Towns with one goal in mind: to establish a Chabad Center to serve the Five Towns and surrounding communities. Filled with enthusiasm and inspired by the Lubavitcher Rebbe OBM's blessing, Rabbi and Rebbetzin Wolowik began to assess the needs of the community and to determine how they could make a positive impact on Jewish life in the Five Towns. People wondered and asked what they were doing here and how long they’d stay. "It's a one-way trip we take,” explained Wolowik. “It's a lifetime investment that we do. There's no return." Before long, the energetic and driven Wolowiks found themselves completely engrossed in a host of programs, including Shabbat services and dinners, community-wide holiday programs, guest lectures, Torah classes, youth clubs and events. They reached out to the community and began individual and communal activities.